February is always a busy month on the farm here at Nell's when calving will be in full swing. We will be looking forward to welcoming guests to Nell's award winning Farm House for a romantic break to celebrate Valentines. Get in touch with us to secure your romantic getaway from it all. The St Patrick's Day parade in Waterford City is always a spectacle. It's well worth the trip to the city. Come for the parade and stay for the craic. June also brings the annual Waterford Viking Marathon which takes place this year on June 27th @9am. Last years run had the town buzzing. Waterford city is the best place to be on marathon weekend. Nell's is only a 30 minute drive from the start line so is an ideal base. After the run come back and hop in the hot tub and sooth your aching muscles - bliss! 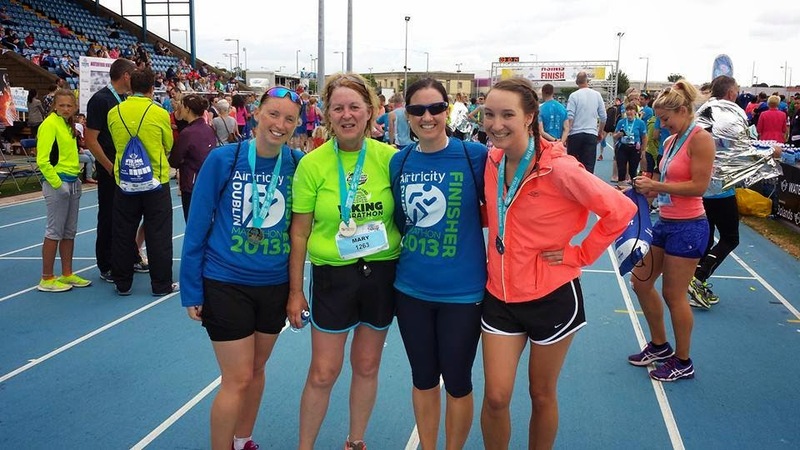 www.waterfordvikingmarathon.com Here's a picture of Sinead, Mary, Clodagh and Caitriona after last years (2014) run when four out of six of us took part along with two of Caitriona's friends who came all the way from Cork to take part. Dungarvan is the Mecca of cyclists in August every year for the Sean Kelly Tour. There are options for all abilities of cyclist including kids. It starts on the Saturday with a family cycle. Sunday gives three options - 50km, 100km, 160km routes. If your into cycling this is a great way to see our beautiful and picturesque county. Our advise is to book in early as it sells out without fail ever year. Keep an eye on www.theseankellytour.com for registration opening dates. So there's a selection of what were looking forward to in the coming months. Of course the accommodation at the award winning Nell's Farm House is an ideal base for all the above activities. Take your pick and give us a call to book in for the week or weekend with family or friends.